« Dreaming Big is banned in Ireland! What do you do with Mr and Mrs Toxic? I am working on a really interesting project at the moment and because it is quite complex there is a diverse team made up of very talented individuals from different organisations working on it. We had a full day session, which included a meeting with the client group and instead of being the enjoyable experience I was expecting it was a horrible, draining one. There is one characters (who happens to be really talented and super valuable) on the team who is just plain rude, arrogant, dismissive and being honest a little nasty. This has led to a testy atmosphere with team members trying to give their opinion but being dismissed in a rude manner. Everyone witnesses the ‘put down’ and are waiting to see how the person who has just been insulted reacts …. he feels bad, he feels small and he feels weak if he keeps his mouth shut or does he decide to react and let the whole thing bubble over? To be fair to him he decided to bite his lip and eventually other people jumped in and supported him. I’m not sure if my lip would be that resilient. At the end of the day I was totally wiped out and demotivated and a potentially great project had now disintegrated into something that was hardship. I can’t wait for it to be over is now my main thought but there is still a lot of work to be done with this crew. Team spirit – At times yesterday a horrible, testy atmosphere crept into our team meeting – this makes the work very draining and we have to mind ourselves. The team leader has assembled a talented bunch together for this task – lets get the best from this collective talent and synergise. This is a team folks …lets support each other and make this job a enjoyable one. Life is way too short!! What do you do with Mr or Mrs Toxic? This entry was posted on March 25, 2016 at 9:36 am and is filed under Bullying, Communications, Teamwork. You can follow any responses to this entry through the RSS 2.0 feed. You can leave a response, or trackback from your own site. Toxic people ARE draining and are best handled by avoidance. If they happen to be members of your team, this may not be possible but it is the responsibility of the team leader or chair to manage the situation. Teams exist for a purpose and each individual member should have their unique role in that purpose. If not, they are simply passengers and should not be on the team- this is the easiest way to get rid of the toxic team member. But the toxic person may have a vital role to play. This is where the team leader comes in ensuring that they stick to the role and not impede the roles of other team members through their toxicity. Have you thought of having a word with this toxic person or get someone else to have a word with hers who he would classify as one of her peers. I have a damn good idea of who you are talking about, believe it or not! Otherwise, there are two like that in Cork, one of whom is intent on behaving like a autocrat/dictator, whose behaviour drains staff, some of whom are ready to quit. No one has a word despite the directors been made aware of this. Even in 2016, some management think that this is acceptable, not realizing that they are exposing their organization to potential litigation and huge negative publicity, which could irreparably damage their organization. That is so true …this behaviour could get you into trouble! 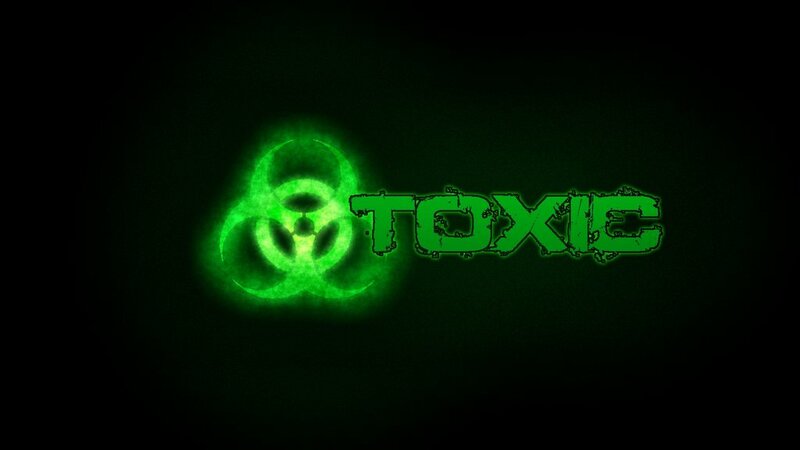 “Toxic”, or of differing opinions?